Have Pro-Abortion Politicians Excommunicated Themselves? A: The issue of excommunication, as noted back in “Am I Excommunicated? Sanctions, Part I,” is greatly misunderstood in general, and thus is always worth a closer look. But Patti’s question is especially relevant at this time, since important elections are looming in this country in the next couple of weeks. Let’s look first at some of the general features of the Church’s system of imposing penalties, and then focus more specifically on the politicians whom Patti mentions. Even if most of us have no personal experience of the American criminal justice system, we all know at least basically how it works. Laws are passed by our legislators; if someone violates those laws, he is arrested and tried in a court proceeding; and eventually he is either convicted or exonerated. If he is convicted, the criminal is then sentenced to a specific punishment. It’s a logical system that we all take for granted—and many other countries do too. But the Catholic Church, as we know, operates in a more spiritual sphere. True, there are laws promulgated by competent legislators (generally the Pope or the diocesan bishop), and there is certainly a process that can be employed when someone is accused of violating one of those laws. There are also punishments that can be, and sometimes are, meted out. But the Church’s penal system is in some ways fundamentally different from the American legal system, which is why American Catholics frequently find it so bewildering. We assume that it works in a certain way… and it often doesn’t. Canon 1314 describes two basic types of penalties. Penalties that are ferendae sententiae are not binding on the perpetrator until they are actually imposed. Latae sententiae penalties, however, are incurred ipso facto upon the commission of a delict (i.e., a crime), if the law specifies this. Even if you’re a Latin scholar, canon 1314 is far from clear, isn’t it? Our first difficulty involves translation of the technical terms. The English language unfortunately has no clean, simple way to translate either ferendae or latae sententiae, which is why we find ourselves obliged to use the Latin words, even when talking about canon law in our native tongue. But basically, a penalty that is specified in the code as being ferendae sententiae has to be formally imposed by competent authority. We saw an example of a delict that is punishable by a ferendae sententiae penalty back in “Can Catholics Become Freemasons?” Canon 1374 states that a person who joins an association that plots against the Church is to be punished with a just penalty. The wording of the last part of that sentence tells us that we are dealing here with a ferendae sententiae punishment. Competent authority—most commonly a diocesan bishop—learns that a Catholic in his diocese has joined such an organization, does some investigating, and then can, if he determines it is just, impose a punishment on that Catholic. This is the type of penalty that we Americans can relate to! In this situation, the bishop essentially is acting like a court judge. The imposition of a penalty is akin to being sentenced by a judge after getting convicted. In other words, the general method of imposing ferendae sententiae penalties is quite comprehensible to us. But it’s the other type, the latae sententiae penalties, that creates the most confusion. Our criminal justice system has absolutely nothing like them—because this is where the spiritual element of the Church’s penal system kicks in. As we just saw, canon 1314 notes that latae sententiae penalties are incurred ipso facto if the law says so. Let’s look at a concrete example so that we can see how the system is designed to work when this type of penalty is involved. Canon 1388.1 states that a priest who directly violates the sacramental seal, revealing what a penitent told him in the confessional, incurs a latae sententiae excommunication. (This particular delict was in fact discussed in more detail in “Can a Priest Ever Reveal What is Said in Confession?”) By the grace of God, this crime rarely happens; but let’s nevertheless imagine a priest who repeats the contents of a confession in a manner that directly identifies the penitent. What happens next? First of all, it has to be determined whether all the conditions of canon 1323 have been met. This canon provides a whole list of situations, any one of which will render a person not liable to a penalty. These conditions were addressed in greater detail in both “Am I Excommunicated? Sanctions, Part I,” and “Is She Excommunicated? Sanctions, Part II,” but briefly, no Catholic is subject to any penalty if he is under the age of 16; was ignorant that his action was a violation of the law; was forced to commit the crime, or committed it under fear; acted in self-defense or in the defense of another; or lacked the use of reason (as is the case with mentally ill, mentally handicapped, and senile persons). If even one of these conditions applies to the imaginary confessor-priest we are talking about here, he is not subject to the penalty found in canon 1388.1. As horrible as his actions might be, he would not—could not—be punished. But let’s now imagine that this priest did not fall into any of these categories. Let’s say he acted knowingly, freely, and deliberately when he broke the seal of the confessional, and knew the penalty attached to that crime. What happens to him now? Well, it is possible that the penitent, or some other person, may complain about this priest’s conduct to his bishop. If the bishop (with, for this particular crime, the involvement of the Vatican as well) is able to establish after an investigation that the priest did indeed violate the sacramental seal, and was fully responsible for his actions, he may declare that this priest is excommunicated. But if there is insufficient evidence to prove it, we lay-Catholics naturally assume that no penalty is incurred. And this is where we are wrong. Because a latae sententiae penalty is incurred whether the crime can be proven or not. In fact, a latae sententiae punishment is incurred even if nobody else on earth ever finds out about the crime! Nobody has to complain to the bishop about our fictitious priest’s violation of the seal, and no investigation need ever take place. The fact is, whether or not anyone besides the priest himself realizes it, the priest is excommunicated. We can see here the spiritual side of the Church’s penal system. If you commit a delict that is punishable by a latae sententiae penalty, and you know what you are doing and freely do it anyway, you are, ipso facto, under that penalty, whether church authorities formally declare it or not. It may very well be that the only ones who actually realize this are our imaginary priest, and God Himself—but that in no way changes the reality of the situation. In this case, the bishop doesn’t have to actually impose a thing. This imaginary priest has excommunicated himself. So, assuming that our fictitious priest has incurred a latae sententiae excommunication under 1388.1, what is he supposed to do now? Since he is a priest, trained in theology, we may hope that he realizes that excommunication is (as noted in c. 1312.1 n. 1) a medicinal penalty. Its whole purpose is to warn a Catholic who falls under this penalty that he has removed himself by his actions from communion with the Catholic Church. Unless an excommunicated Catholic truly doesn’t care any more about maintaining communion with the Church, he logically will seek to restore that communion. The procedure for lifting an excommunication can in certain circumstances be a bit complicated, but in general, a safe bet is to go to confession and confess the crime (which by definition is also sinful, so it bears confessing in any case! ).The confessor may very well be able to lift the excommunication himself, on the spot, along with granting the penitent sacramental absolution. In some cases—like the delict committed by our imaginary priest, who violated the seal—lifting the censure may be reserved to the Holy See. That may require the confessor to petition the Vatican on behalf of the penitent (without ever identifying the penitent, of course), and the excommunication will be lifted in that way. The situation may vary depending on the delict, on the faculties a particular bishop grants to the priests who hear confessions in his diocese, or even on the confessor himself—Jesuits, for example, have very broad authority in the confessional to lift censures, an authority which other priests normally do not have. But in general, an excommunicated Catholic should always start by entering the confessional. Now we’ve seen that the priest who preached the homily which Patti describes was correct, for it is indeed possible for Catholics to excommunicate themselves. What, then, are the implications for Catholic politicians who support abortion “rights”? Theologically speaking, this seems like it should be extremely straightforward. It’s pretty difficult for even the simplest Catholic in the pew to rationalize that one can repeatedly vote for the legalization (and maybe also the funding) of the willful murder of unborn children, and yet remain a Catholic in good standing! Canonically, however, it’s a bit more complex—not because canon law is in conflict with Catholic theology in this case (for the two can never contradict each other), but because there are so many steps that must be taken, and conditions that must be met, before one can say with certainty that Senator X or Representative Y is under excommunication. The fact is, excommunication can sort of be seen as the Church’s “nuclear option.” It is only used as absolutely the last possible resort, when all warnings have failed and it is crystal-clear that the perpetrator truly knows all the ramifications of what he is doing—and freely chooses to do it anyway. Let’s walk our way through the canons in the code that might logically apply in this case, and examine the wording before making any assumptions or jumping to conclusions about our politicians. First of all, there is no canon in the code that specifically says that voting to support abortion is an excommunicable offense. In fact, there is nothing explicit in the code that even says it is a crime at all! The lone canon that mentions abortion (c. 1398) states that someone who actually procures an abortion incurs a latae sententiae excommunication. It’s a canon of few words, but they are carefully crafted to pertain only to persons directly involved in a particular abortion—the doctor, the nurse(s), a husband/boyfriend who pressures a woman to abort and may threaten her or even physically take her to the clinic and pay for the procedure, and obviously the woman herself are all potentially up for excommunication if they are Catholics. Once again, all the conditions in the abovementioned canon 1323 must be met before any of these people can be considered excommunicated. But the taxi-driver who takes the woman to the doctor without knowing what she intends to do, or the friend who loans her the money to pay for the abortion without realizing what she wants it for, are not. By extension, the plumber or electrician who ensures that the doctor’s office can function, the staffer at the phone company who accepts a yellow-pages ad for the doctor’s “abortion services,” or the pizza deliveryman who brings lunch to the doctor and his staff so that they can continue working through the afternoon, are not culpable at all (although one can easily understand that many Catholic plumbers and other workers would balk at being asked to help an abortionist in even an indirect way!). The point is, there is a strict limitation to the persons who are covered by canon 1398. One could perhaps try to argue that pro-abortion politicians, by voting to keep abortion legal, should fall under this canon…but given its precise wording, it would be difficult to find a canonist who would agree. And in any case, the mere fact of the uncertainty of the question would automatically oblige us to conclude that the canon does not apply in this case: canon 18 states that laws that prescribe a penalty are to be interpreted strictly. If there is any doubt about whether a Catholic should be punished under a particular canon, he is not to be punished—period. This is a fundamental legal principle that the Church has held for generations, and it admits of no exceptions. We can see how carefully the Catholic Church guards against unjust application of its laws—it prefers, if necessary, to permit a perpetrator to go unpunished, rather than to unfairly penalize someone who is not guilty of a crime! Thus we cannot say that a pro-abortion politician is excommunicable under canon 1398—but there are certainly other canons that might better apply, and that would lead to exactly the same outcome. A stronger argument could be made that repeatedly voting to support legalized abortion, in the face of countless public statements by Popes and Bishops that this is contrary to Catholic teaching, might constitute heresy. Let’s take a look. Canon 1364.1 states that an apostate, a heretic or a schismatic incurs a latae sententiae excommunication. If this can be applied to a pro-abortion politician, then he can indeed be excommunicated. Once again, this may sound very straightforward on the surface. Surely someone who votes for legalized abortion is violating church teachings, which must mean that he has to be a heretic, an apostate, or a schismatic by definition, right? And once again, we must tread very cautiously before reaching the conclusion that the canonical “nuclear option” applies here. The principles determining what constitutes apostasy, heresy or schism are at their origin theological rather than canonical, and as such they are more nuanced than a canon lawyer, who tends to think more in concrete, black-and-white terms, might like them to be. In fact, the difficulty in “translating” these theological concepts into legalese suitable for the code proved to be so confusing that Pope John Paul II found it necessary (as we’ll see in a moment) to subsequently rewrite some of the canons in order better to clarify them. Canon 751 defines as concretely as possible what these three terms mean in general. Heresy is the obstinate denial after baptism of a truth which must be believed with divine and Catholic faith. Apostasy is the total repudiation of the Christian faith. Schism is the withdrawal of submission to the Pope, or from communion with the faithful who are subject to him. Can we apply any of these to pro-abortion Catholic politicians? For starters, any politician who insists that he is still a practicing Catholic in good standing apparently does not fit the definition of an apostate. We can eliminate that label right away. We are left with heresy and schism as possible options. Schism can be eliminated too. Since these politicians insist that they are good Catholics, they imply with that statement that they recognize the authority of the Pope and the bishops who are successors to the Apostles. This leaves only heresy. Can we hold that a pro-abortion politician is a heretic? Let’s look closely at how the term is defined. Heresy only applies to those Catholic truths which, the canon states, must be believed “with divine and Catholic faith.” This is explained in canon 750: Those things that are to be believed with divine and Catholic faith are contained in the word of God as it has been written or handed down by tradition, that is, in the deposit of faith entrusted to the Church, and are proposed as divinely revealed either by the solemn magisterium of the Church, or by its ordinary and universal magisterium. So what does that mean? In a nutshell, there are different levels of Catholic beliefs. Some directly involve divine revelation, like the Resurrection of Christ from the dead. Others are less direct, but follow inescapably from these revelations, like the sanctity of human life. There are some which have caused legitimate disagreements among well meaning and certainly orthodox Catholic theologians, like the ban on ordaining women to the priesthood—all may very well agree that Catholics must accept this, but where does this teaching fit into the hierarchy of beliefs? Still other church positions may not necessarily involve “belief” at all: a bishop might (for example) publicly oppose for ethical reasons the wording of a particular piece of tax legislation under consideration by the government. A Catholic who disagrees with some of these may have crossed the line and entered heretical territory, but that is certainly not true of all of them! One can, in countless cases, hold a position that is at variance with the public statements of our Catholic leaders, without automatically being a heretic. Canon 750.1 definitely does not apply to any Catholic who disagrees about non-doctrinal positions like the legislation-example just mentioned. It definitely does apply to denial of Christ’s Resurrection. But there are a whole host of Catholic teachings in between those two extremes that for years left both canonists and theologians scratching their heads. That’s why in 1998, Pope John Paul II issued a motu proprio document, Ad Tuendam Fidem, in order to better clarify some of the grey areas and rewrite a couple of canons in the code. 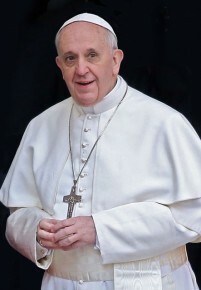 Soon after, Cardinal Ratzinger, then Prefect of the Congregation for the Doctrine of the Faith, issued a Commentary designed to complement the Pope’s document by providing some concrete examples. This appears to indicate that someone who denies that directly, deliberately killing unborn children is gravely immoral would be in heresy. It means that he has rejected a Catholic teaching that is so fundamental to the faith, that denying it renders him a heretic. Whether he is a politician or not is actually irrelevant; for any Catholic who willfully rejects this teaching is essentially in the same boat. Note that nowhere has the Pope explicitly said that consistently voting pro-abortion means that a Catholic politician has fallen into heresy; but it can be deduced fairly logically from both the canons and the Vatican documents described above. For a Catholic, this is very serious business. A heretic incurs excommunication latae sententiae, so he has brought upon himself the gravest penalty that the Church has to offer. So does this mean that every Catholic politician who supports abortion “rights” has excommunicated himself? Not so fast. As we saw at the beginning of this column, no penalty of any kind is incurred if any of the conditions listed in canon 1323 are missing. The item on the list which is most relevant to the case at hand is the requirement that the perpetrator not be ignorant that he is violating the law by his action (c. 1323 n. 2). In other words, the politician has to know and appreciate the theological and canonical implications of his pro-abortion stance. If he doesn’t—if, in his ignorance, he erroneously thinks that he has some wiggle-room on this issue, or if he sincerely yet wrongly feels he can take the “personally opposed, but” line of defense as a way out—he incurs no penalty. Before readers scoff at this notion, let’s acknowledge frankly the abysmal lack of sound catechetical formation of so many Catholics, both children and adults, here in the US. Countless Catholics have attended public schools as children, and received little or no education in CCD programs—perhaps because of parental negligence, perhaps because those programs were devoid of solid Catholic content. Other Catholics have been educated in Catholic schools where the religious instruction was either inadequate or of questionable orthodoxy. Many converts to the Catholic faith have received poor catechesis in their RCIA programs before they became Catholics. If we wanted to engage in recriminations, we could probably point accusing fingers in numerous directions here; but the sad fact remains, a huge number of American Catholics simply don’t understand even the most basic truths of our faith! There is an obvious remedy for this problem, in the case of our Catholic politicians. By teaching clearly and unequivocally, our clergy can (and often do) explain the grave consequences of supporting abortion. In some cases, pastors and bishops have apparently judged it most prudent to meet with politicians who live in their parishes/dioceses on an individual basis, in order to counsel them about the implications of their actions, and to warn them of the spiritual consequences. We know that the Pope himself has met with Catholic politicians from the US on occasion, and the issue may have been addressed in the course of these private meetings as well. At issue here is not only the legal status of unborn children in our country; the spiritual well-being of these politicians must also be of great concern to those clergy who are responsible for their care. And as angry as we may get with some of our political representatives, the fact remains that we should never lose sight of the importance of the salvation of their souls! Let’s return to the earlier observation that excommunication is a medicinal penalty. The whole purpose of excommunicating a Catholic is to ensure that he strives to get himself out of that state as soon as possible! After all, a member of the Catholic faithful should want to remain a member of the faithful, shouldn’t he? That’s why excommunication is intended to serve as a kind of alarm-bell, to tell a Catholic that he has overstepped his boundaries and needs to come back—sooner rather than later. So what is the final answer to Patti’s question? It has several parts. First, it is indeed possible to excommunicate oneself; under certain circumstances church authorities do not need to make any declaration whatsoever. Second, asserting that politicians who promote abortion are excommunicated is not clear-cut under the Code of Canon Law, although an argument can certainly be made that they have in so doing obstinately denied a truth which constitutes a key component of the Catholic faith, and have thus fallen into heresy. 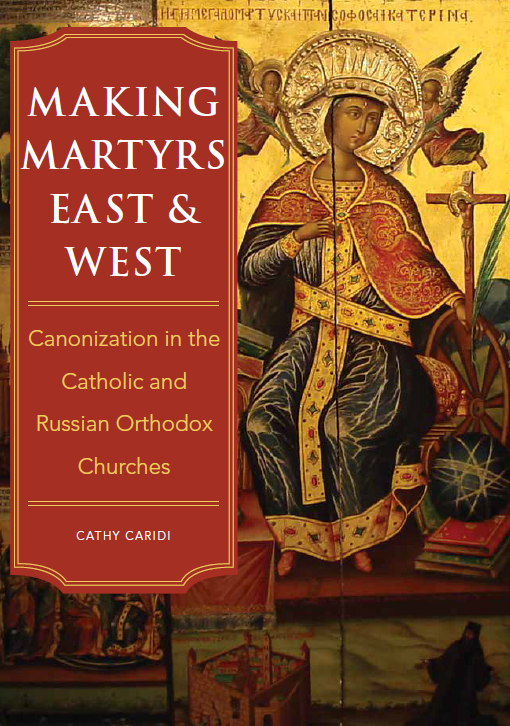 It would certainly be helpful to all of us Catholics in the US for our bishops to provide us, publicly and repeatedly, with consistent, authoritative teaching on this matter. Next, for any penalty to apply, the politician would have to fully understand that holding his pro-abortion position constitutes a rejection of Catholic teaching that is heretical, and that this is an excommunicable offense. And finally, nobody should ever gleefully rejoice that a Catholic has been excommunicated; we should save that joy for the moment when that Catholic makes the prayerful decision that he needs to change his ways… and come home. This entry was posted in Crimes and Sanctions and tagged abortion, canon law, Catholic, excommunicate, politician. Bookmark the permalink.